to Enquire for Special Pricing! 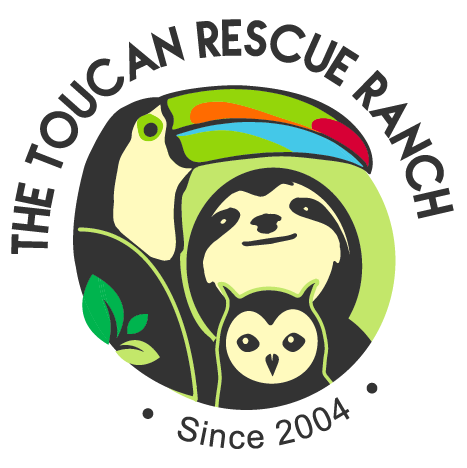 Tucked away on forty acres of riparian woodlands in the hills overlooking the Pacific Ocean in Fallbrook, California just an hour north of San Diego, Emerald Forest Bird Gardens holds one of the most spectacular private collections of toucans and other exotic birds in the world. 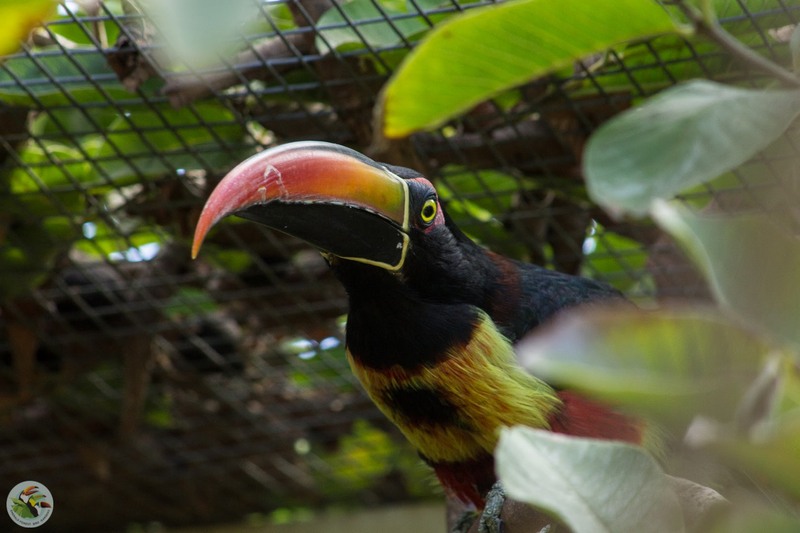 Featured in numerous newspaper and magazine articles, Emerald Forest is internationally recognized as the place to visit to see toucans up close - all in a semi tropical setting. 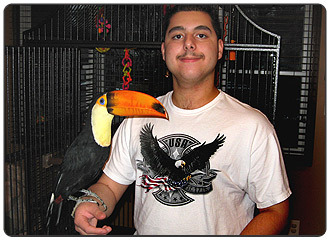 Emerald Forest is renowned for its extraordinary breeding success, offering toucans and other birds to zoos, breeders and pet bird owners around the world. Emerald Forest also provides innumerable unique educational and research opportunities for scientists and amateur bird enthusiasts to study these magnificent birds and has supported a variety of important investigations into nutrition, health, propagation and bird behavior. 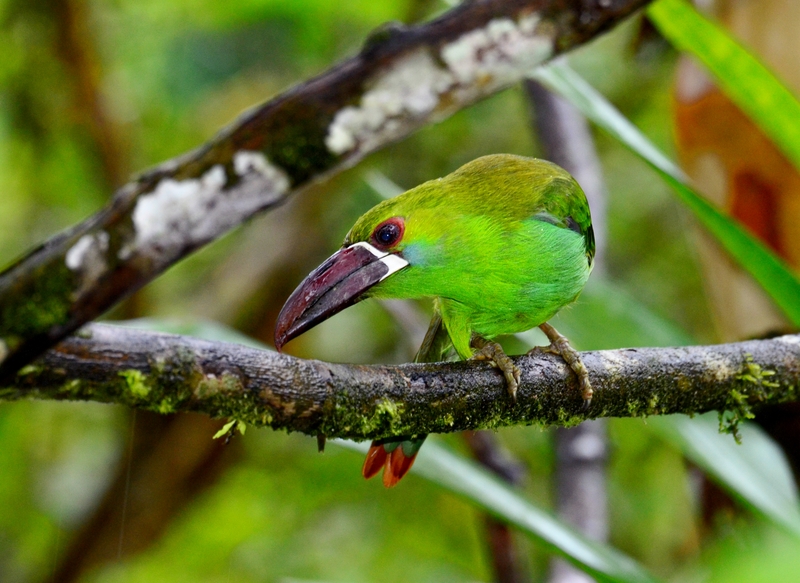 We hope you enjoy EFBG website where you will discover information on toucans such as: species accounts, photos, care, husbandry information, book references and articles. This website encompasses a wealth of educational information and EFBG is proud to share it with you. 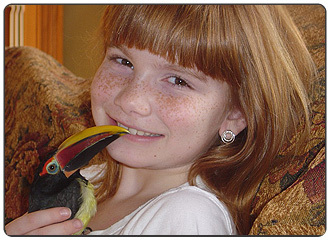 | EFBG is a well-known breeding bird facility. We are not a rescue. However, we do accept displaced or homeless pet birds. 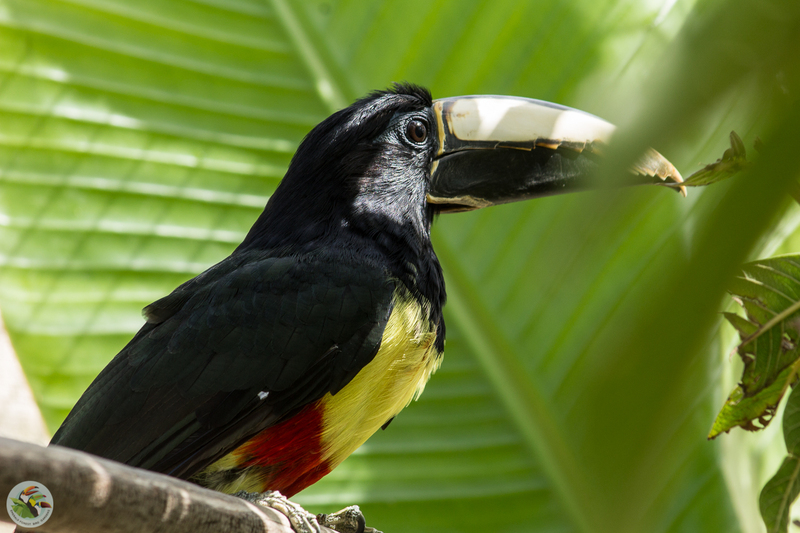 Join TRR in an educational tour about the wildlife of Costa Rica and their conservation efforts to save toucans and other animals. Kakegawa Kachoen is an amusement park where you can enjoy interacting with birds and beautiful scenery of flowers. 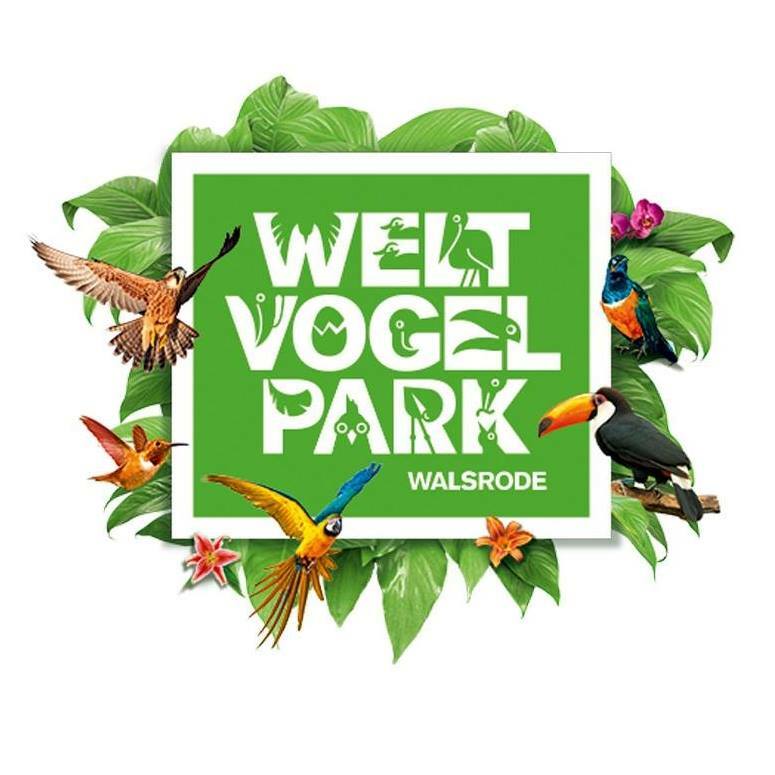 Enjoy the beauty of the natural world in an animal park. 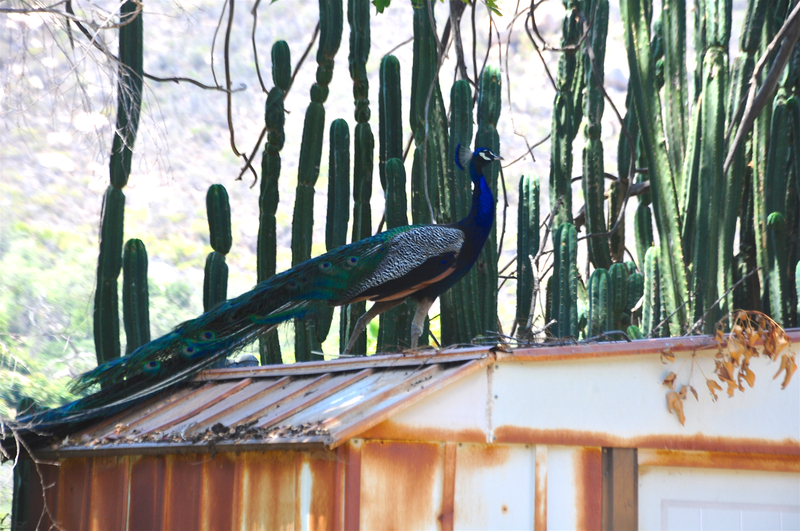 This place is for nature and animal lovers and is an internationally highly regarded project. 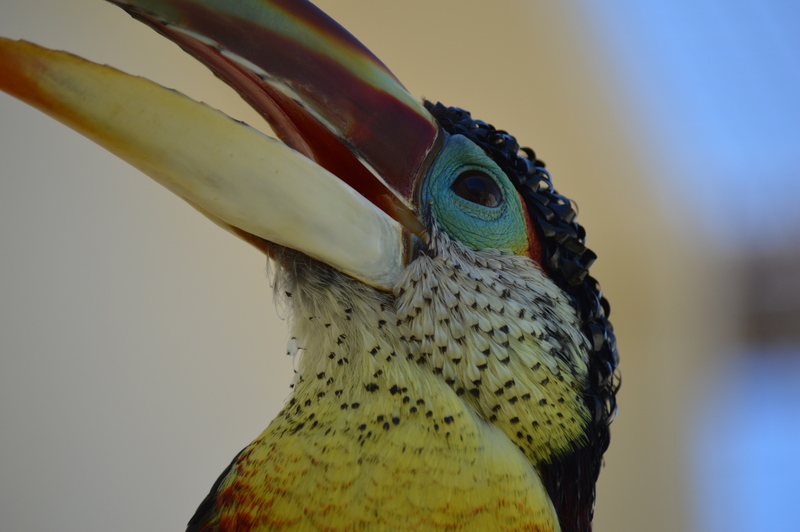 We decided to adopt a Toucan (male green aracari) from Jerry Jennings at Emerald Forest Bird Gardens. 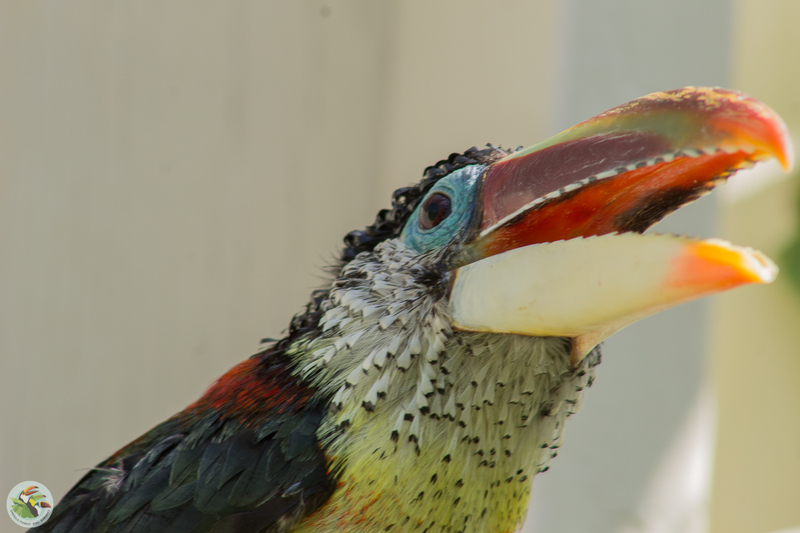 When our bird arrived, the first thing I saw was a beautiful colorful beak poking through the carrier door. The name Pokey seemed perfect. Thank you Jerry for such a great bird and we look forward to our next sweetie to arrive. 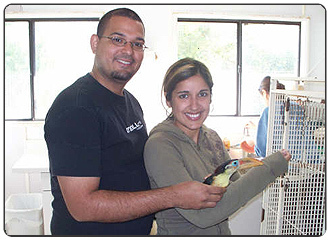 If there was such a thing as Veterinarians grading bird breeding facilities like they do with restaurants, I would give Emerald Forest Bird Gardens an A+. 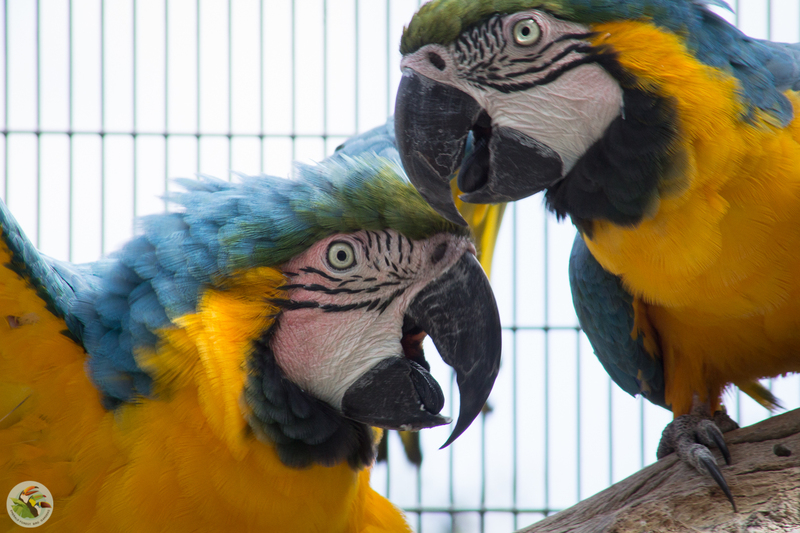 So as an animal lover and as a Veterinarian I would recommend anyone to put their trust on Emerald Forest Bird Garden's birds. My wife and I certainly do.